Here’s a small python tag you can place on an Extrude object that has a text spline underneath. 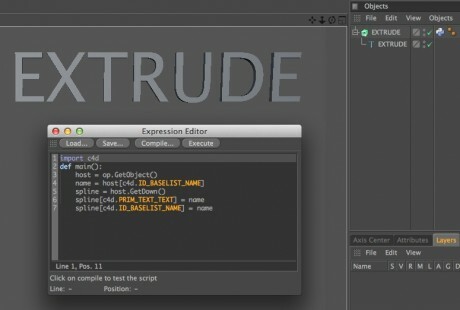 Once added, you can easily modify the text being extruded by simply renaming the Extrude object itself. It’s very handy when you have lots of separate text elements, and it can easily be adapted for MoText objects as well.